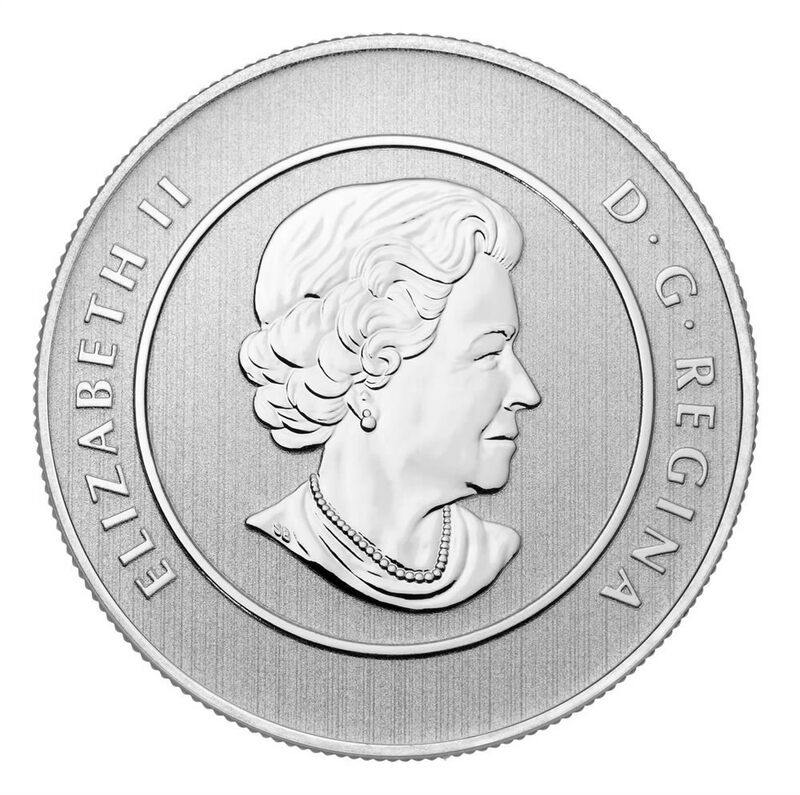 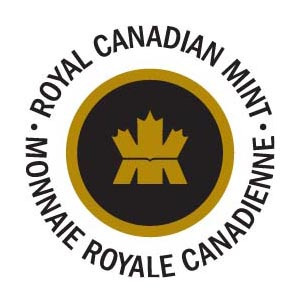 The eleventh coin in the Royal Canadian Mint's highly successful 20 for 20, fine silver (99.99% pure) $20 coins. 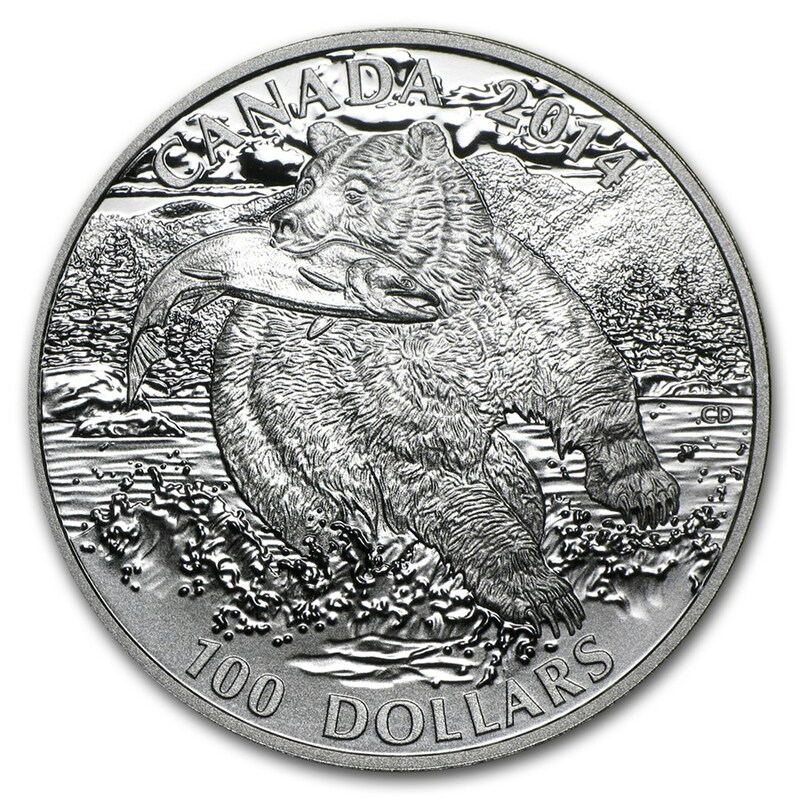 This fine silver coin features a Canada Goose - arguably the most widely known goose species in North America. 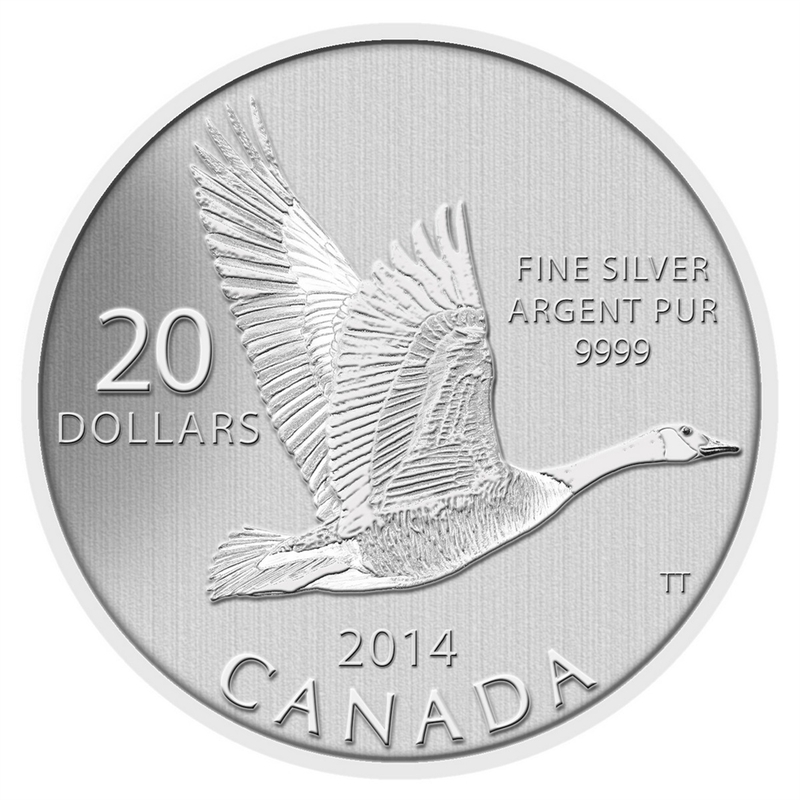 The iconic Canada Goose is viewed from its right side, its broad wings spread high and wide in mid-flight. 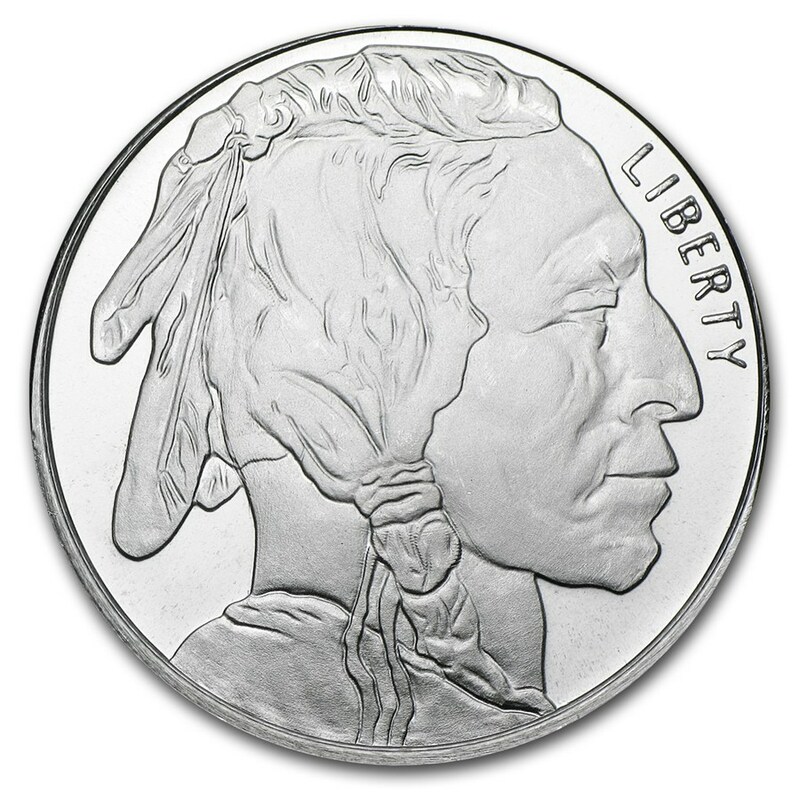 Each wing feather is carefully detailed and shaded using multiple finishes and the artistry of some of the world's foremost engravers.